Monday, November 25th. 6:30-8:30 pm. Just in time for cough, cold and flu season. This hands-on workshop will introduce participants to a number of herbal remedies that can be used for common family health issues like the flu, earaches and ear infections, sore throat, upper respiratory infection, sleeplessness and more. We will focus on learning these remedies in-depth so that participants can apply what they’ve learned at home with confidence. Preparation will be demonstrated and tasted. We’ll end by making Aromatherapy Chest Rub as group. 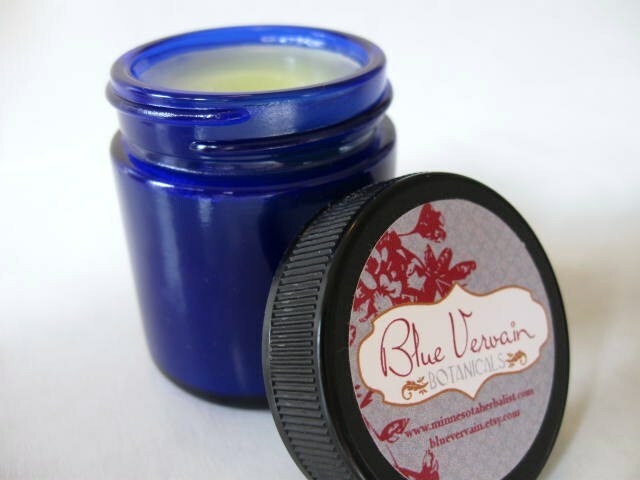 This wonderful smelling rub is all natural and contains no petroleum jelly like mainstream chestrubs. It can be used to bring warmth and circulation to the chest during an upper respiratory illness, clearing congestion, opening the passages and promoting expectoration. Participants will take home their own container for home use. See my article Building Your Family’s Herbal Medicine Chest for a sample of what we will be talking about, tasting and preparing. Registration: $30. Email Erin at epiorier@mninter.net to register. Payment: Checks to Erin Piorier, 851 Dayton Avenue, St. Paul MN 55104 or online with paypal. Upon receipt of your registration, I will send you an email to confirm and directions to the class location. Handouts and all supplies will be provided. Do you mean Monday the 24th or Tuesday the 25th?